Seasonal flooding and a steep ravine only good for ziplining prompted Natalie and Bob Bennett’s plant-tiered waterfall, ponds, and outdoor living in back. 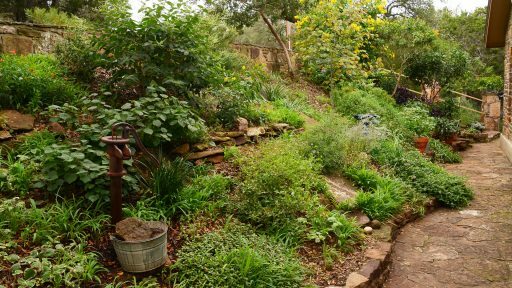 In front, a perennial and bulb-lined dry creek bed leads to a front porch pond set against a sedge and wildflower meadow. In just one year, Jennie and Matt Horvath revived a long-gone family nursery that most recently housed a barbeque joint. 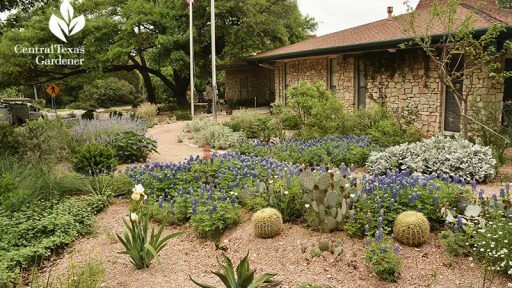 Already, they’re serving up gorgeous gardens with native plants for drought, deer resistance and wildlife habitat, along with annual color and indoor intrigue. Evelyn Myler, like many gardeners, wants to know if she can plant vegetables in a bed that cats used as a litter box. The short answer is no. Unfortunately, pet waste can transmit toxic diseases if it comes into physical contact with the plant part that we plan to eat, and it takes pet waste a long time to decompose in the soil. And in the case of cats, we have to be extra careful of coming into contact with the waste ourselves, due to the potential to contract toxoplasmosis. Good hygiene practices, such as wearing gloves, can greatly reduce the risk when we interact with soil containing pet waste, but it’s best just to avoid the possibility altogether and limit contaminated areas of your yard to ornamental, rather than edible, plants. 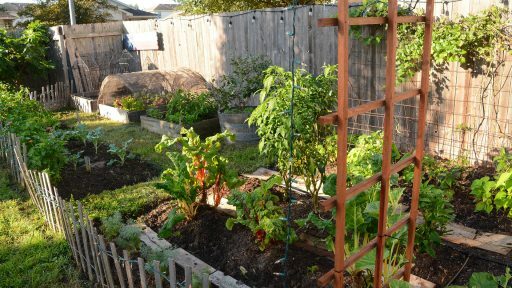 But, in better news, if you have space in your garden for an alternate site to grow edible plants and can implement some strategies to keep pets out of that area, we can give you some work-arounds. For ideas on how to deter cats from garden beds, we checked with Molly Pikarsky, Flora and Fauna Manager at Lake Austin Spa, and mom to lots of pets. She points out that cats are creatures of habit, so note where kitty likes to go, and replace a section of your normal garden soil with sand in that area. You could also set up a new area of sand and try to tempt kitties into your designated area. And consider planting catmint or catnip nearby, as an extra enticement. Another strategy is to apply a very thick layer of large aggregate hardwood mulch around your vegetables. Since it’s harder for kitties to scratch through those large pieces and reach the soft, finer texture of the soil below and will make the sandy area more appealing. You could also apply some type of physical barrier, such as chicken wire, between the mulch and your soil, taking care to leave enough room for plants to grow without being restricted. One drawback to this strategy is that garden snakes may get caught in the wire, so that solution may not be for everyone. Note: chicken wire only good for seedlings. Consider cattle panel (hog panel) for larger plants. It’s always fabulous when viewers let us know that our tips worked for them! Lila Bass sent in pictures of her beautiful Lady Banks rose. For 16 years, it never bloomed. Then, she took our advice to not prune in February. Lady Banks and other climbers, unlike other roses, should be pruned only after blooming, in late spring or early summer, though you can do some correctional pruning in fall. Now, Lila’s rose blooms every year on the anniversary of her mom’s passing. Swallowtails are certainly out and about in Central Texas. Susie Epstein’s mountain laurels attracted this beauty, possibly an Eastern Tiger Swallowtail. And Jim Lidgey snapped this beauty nectaring on the flowers of a yellow buckeye. He also caught this Juniper Hairstreak on a Death Camas. And on a recent tramp through the woods, he spied these lovely little Spring coralroot orchids. Fungal disease and pest insects are upon us. John explains how to take charge.